The job of a US Marine means much more than knowing how to patrol and shoot a rifle. The Corps, which celebrates its 239th anniversary on Nov. 10, wants troops who can think clearly under fire and make calm and intelligent decisions. So it comes as no surprise that the Corps’ top officer — a four-star general known as the Commandant — publishes a list of books that Marines of all ranks have to learn from. The books cover a range of topics, from the warfighting techniques discussed in “Marine Corps Doctrinal Publication 1: Warfighting” to leadership in “Battlefield Leadership.” Even the anti-war novel “All Quiet on the Western Front” makes the list. The Corps has led a recent push for Marines to pick up a book from the always-expanding list, of which you can see in full here. We picked out 12 of our favourites. This post was originally written by David M. Brooks. 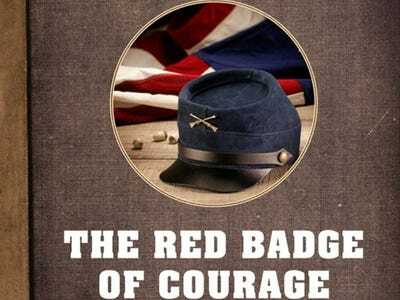 'The Red Badge Of Courage' is considered a classic of American literature. This book is recommended for new recruits. It follows a bravado-filled enlisted man who flees in cowardice during the Civil War. War is easy to romanticize until you're in the middle of it, as Crane's work makes clear. And while the battle scenes in the book still receive high praise for their brutal realism, the author never experienced war firsthand. In 'Making The Corps,' journalist Tom Ricks follows a platoon of recruits through the rigorous training of Marine Corps boot camp. Many Marine recruits are fresh out of high school, and this book chronicles the process that transforms young men and women from civilians into Marines. This book is recommended for midshipmen and officer candidates whose initial training is different from the enlisted Marines they hope to one day lead. 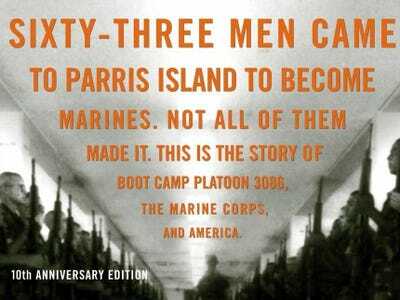 If you've ever wondered what life is like in a Marine Corps boot camp, this book gives one of the best accounts. 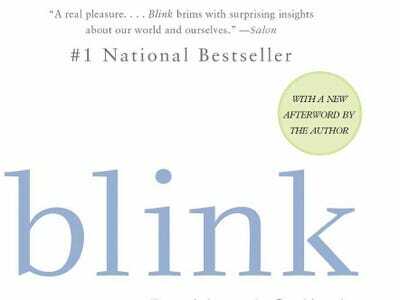 Malcolm Gladwell's 'Blink' is one of two books by the author on the Commandant's reading list ('Outliers' is the other). Military leaders are often required to make quick decisions with limited information and 'Blink' addresses the ability of the mind to make snap decisions as well as the influences that corrupt the decision-making process. 'Blink' also has a fascinating chapter on the Millennium Challenge 2002 exercise where the military brought Lt. Gen. Paul Van Riper out of retirement to lead enemy forces in a wargame against the United States. As the book notes, Van Riper thought outside the box in countering his US military foe and obliterated their forces in the exercise. Van Riper later charged leaders with 'rigging' the game and taking away his decision-making power. In the book, Ender is thrust into leadership responsibilities and put in charge of his friends and his peers. He responds to the challenges facing a new young leader, offering valuable insights for Marines facing the same trials. 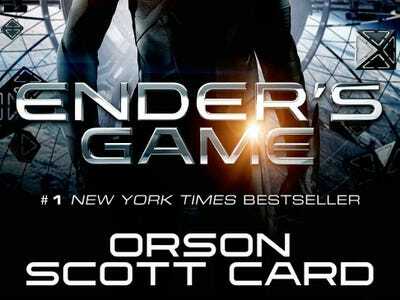 'Ender's Game' does a remarkable job of showing how leadership affects friendships and how being a good leader means sometimes making unpopular choices. 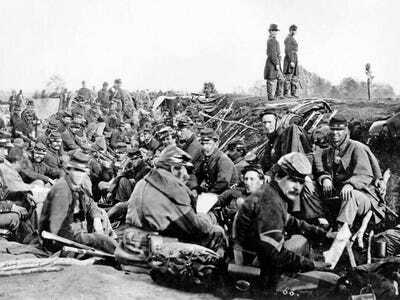 'The Killer Angels' is a Pulitzer Prize-winning historical novel about the Battle of Gettysburg. It follows the leaders of both the Union and Confederate armies and their decision-making during one of the most fateful battles in American history. The transition back into civilian life for men and women returning from war is a battle in itself. Remarque's novel about World War I captures this trial in vivid detail. 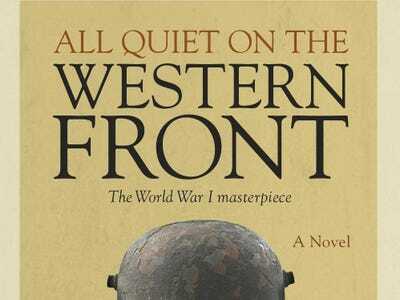 'All Quiet On The Western Front' follows a young German soldier from war to home and back to war again. This isn't a book about battlefield heroics; it is a poignant look at the hardships that war inflicts on the people fighting it. The novel is decidedly anti-war as it pulls no punches on the horrors passed down from one warfighter to the next. 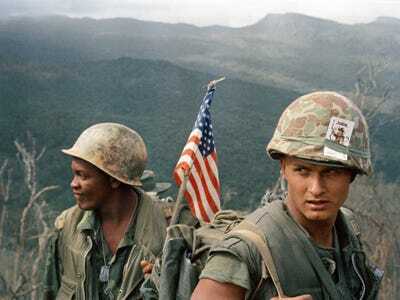 Karl Marlantes, the author of 'Matterhorn,' is a decorated Marine veteran of the Vietnam War. Marlantes spent 35 years on 'Matterhorn' before the book was published. The decdes of hard work culminated in one of the greatest novels on war ever written. 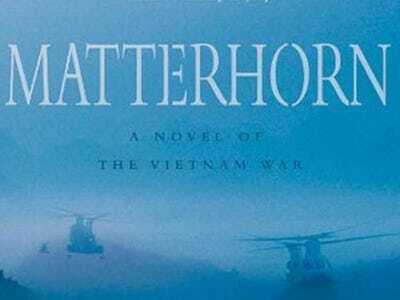 'Matterhorn' gives an incredible first-person account of what it was really like to lead Marines in Vietnam. Far from just another war novel, the book's main character struggles not only with combat, but the bureaucracy and inept leadership above him, along with the in-fighting among his men, and the radical societal changes taking place back home. 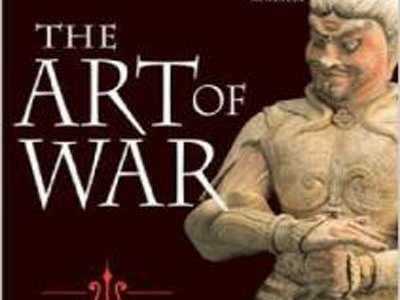 The inclusion of 'The Art of War' is not surprising, as the book's insights have been extolled by leaders in all sectors -- civilian and military. 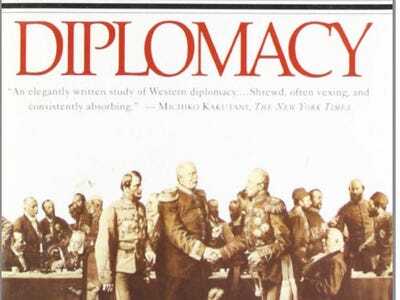 This book is the classic of Chinese military strategy and rivals its European counterpart 'On War' in its influence. It is the perfect compliment to the Marine Corps' doctrine of manoeuvre warfare and advocates using speed, deception, and knowledge of the enemy to exploit weakness. 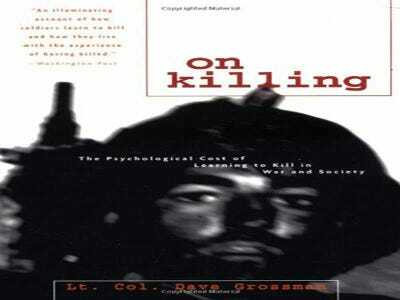 'On Killing' by retired Lt. Col. Dave Grossman examines the psychology of killing and offers extensive research to show how men and women react when faced with that decision. Much of his findings stem from the research of Brig. Gen. SLA Marshall, an Army historian whose book 'The Soldier's Load and The Mobility of a Nation' has been on the Commandant's list at times. Grossman found that most people have a distinct aversion to killing. Not only do you have to properly train soldiers to kill, Grossman writes, but you also have to be sure that they are equipped to handle the act's psychological consequences. 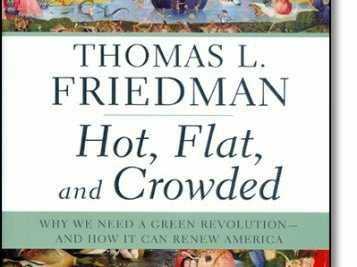 'Hot, Flat, and Crowded' replaces another work of Friedman's that was once on the Commandant's reading list -- 'The Lexus and the Olive Tree,' his in-depth study of globalization. 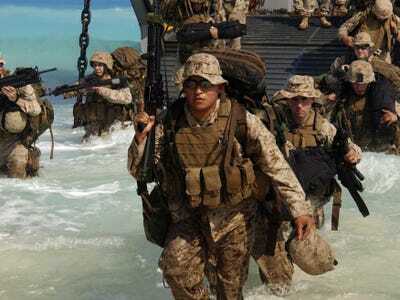 While the debate over the response to man-made climate change rages in the political arena, the Marines need to be prepared to fight in any climate and place. The US military takes climate change very seriously, and 'Hot, Flat, And Crowded' explores issues of globalization, climate change, and the effects that both will have on the future social, political, and physical environment. As military officers rise in rank, they increasingly become involved in foreign affairs and need to have the ability to navigate international politics. Military generals frequently interact with world leaders, so Kissinger's masterpiece on the history and nuances of diplomacy is recommended for high-level officers. 'Diplomacy' is a fascinating look at the history of statecraft and an inside view into the opening of China for which Kissinger is famous. The vast knowledge of Secretary Kissinger and his ability to connect world events to real-world examples and precedents make this book an excellent read. When Gen. James Conway became Commandant of the Marine Corps, he required that all Marines of every rank read Lt. Gen. Victor Krulak's 'First To Fight.' Krulak was a veteran of the Vietnam War whose son would later become Commandant. Krulak's book attempts to answer the question of why America even has a Marine Corps, a question that has been asked periodically throughout the Corps' history. 'First to Fight' is part Marine Corps history, part lessons from war, and partly a look at what has changed and what has stayed the same throughout the fabled fighting force's history.